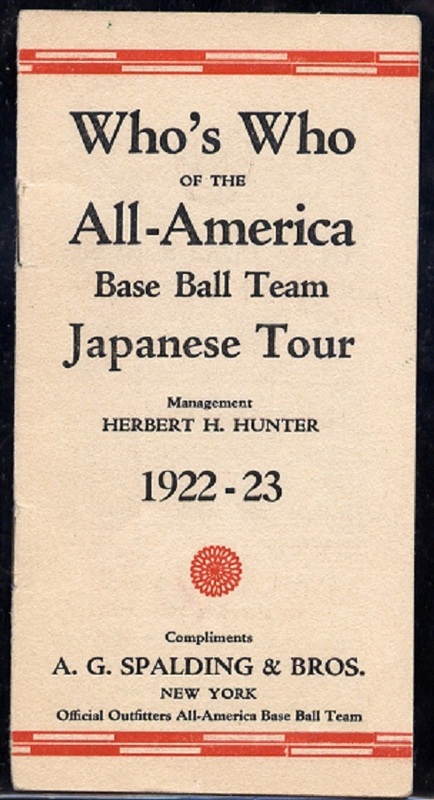 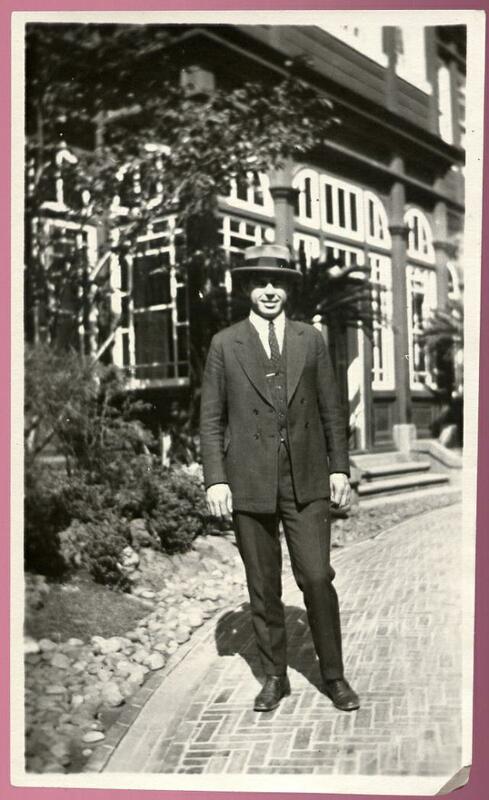 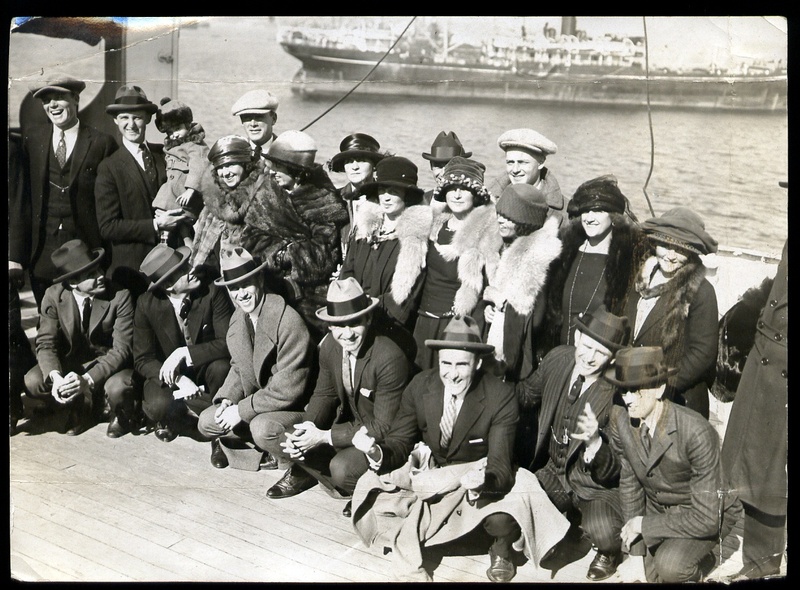 The 1922 Herb Hunter All Stars toured Japan with such stars as Casey Stengel, Herb Pennock, Waite Hoyt, Amos Strunk, George "Highpockets" Kelly, Irish Meusel and others. 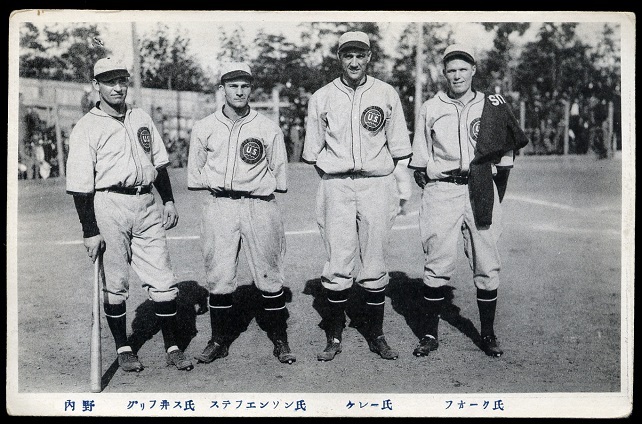 This team became the first with major leaguers to lose a game to its Japanese hosts. 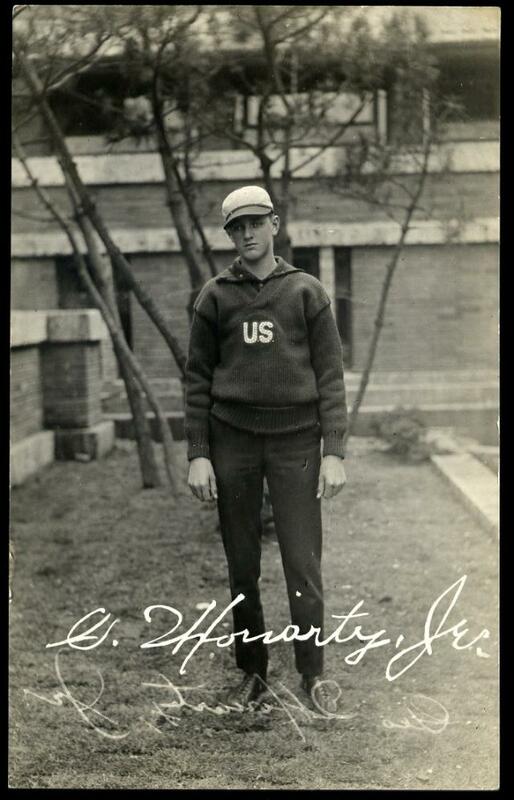 Hunter would go on to lead other major leaguers to visit Japan in subsequent years. POSTCARDS | PHOTOS | WORLD TOURS | MEMORABILIA | HAL CHASE | FAVE FINDS | WHAT'S THIS? 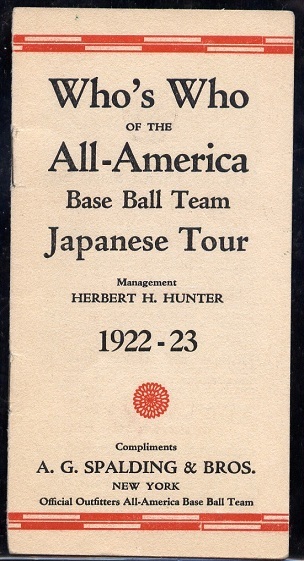 Following the debacle in 1920, Herb Hunter was cleared of wrongdoing and MLB commissioner Judge Landis allowed him to recruit some top major league talent for a 1922-23 tour of Japan. 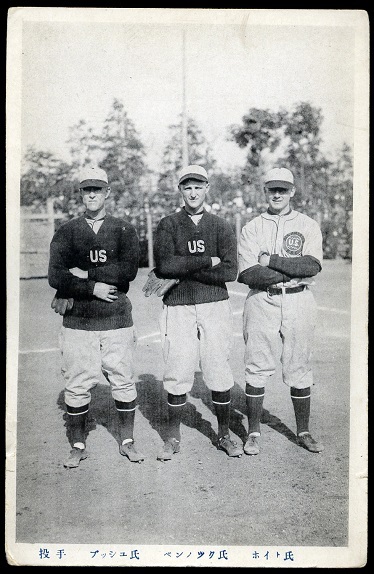 Dubbed the Herb Hunter All Stars, the American team was composed of some decent talent for the first time since the 1913-14 World Tour. 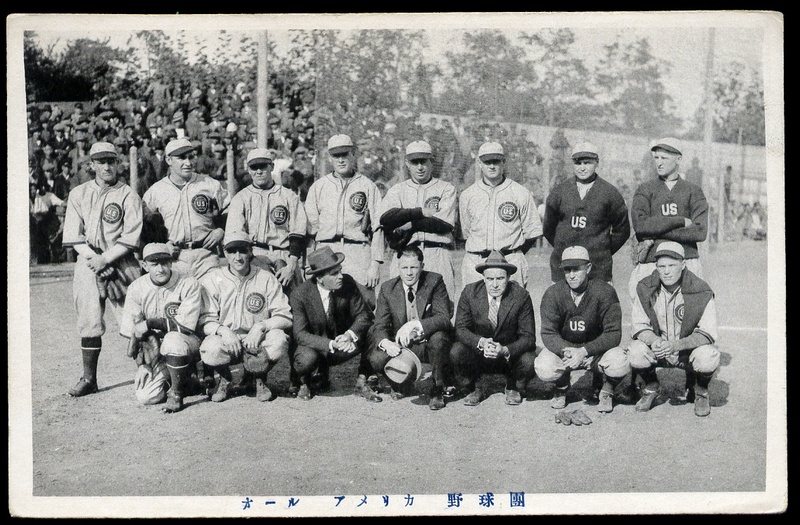 This time, the Tour of Japan included some top baseball players that both the league office and the press lauded as being of high moral conduct. 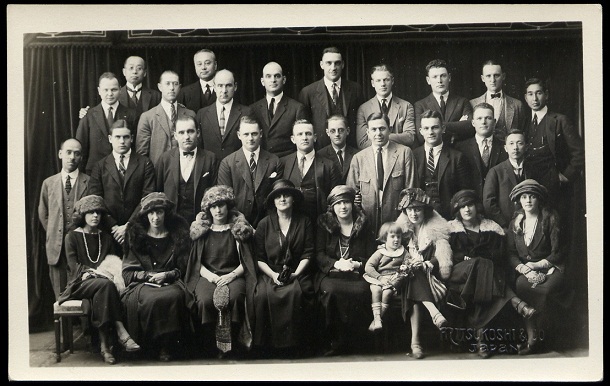 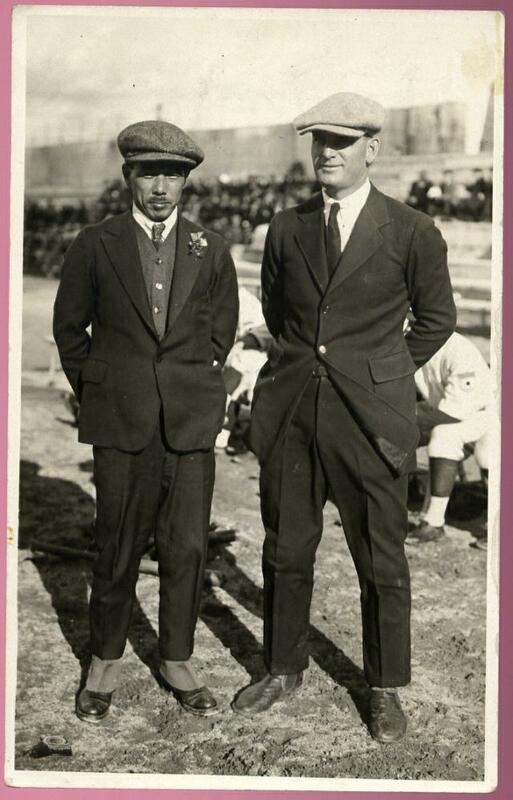 The league and the tour's promoters also helped ensure upstanding behavior by inviting the players' wives on tour, along with American League umpire and former Tiger star, George Moriarty and his 15 year-old son to serve as batboy. 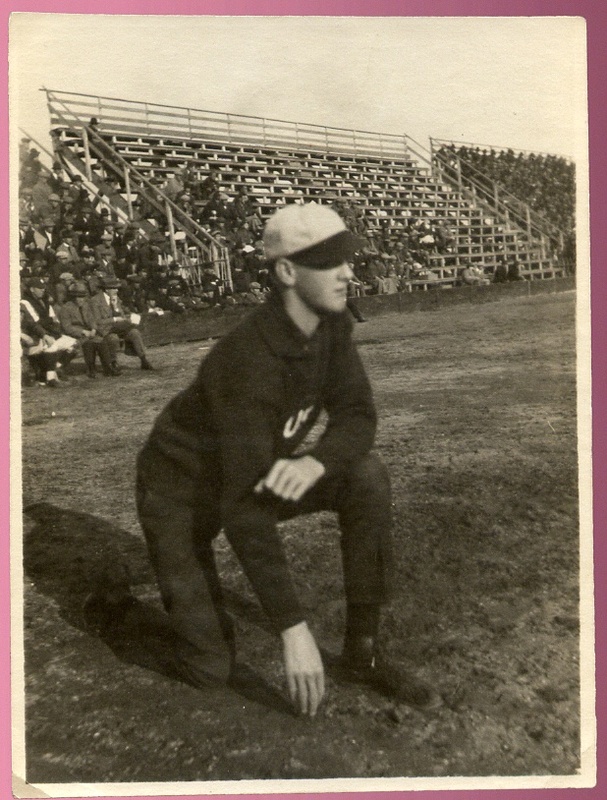 Star pitcher Herb Pennock even brought along his young daughter. The team toured Japan, Korea, China, Manila and Honolulu. 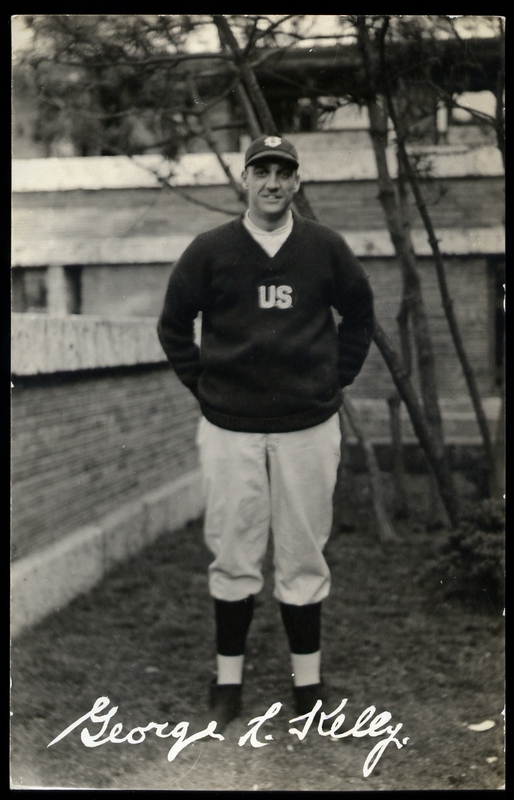 Despite such stars as George Kelly, Casey Stengel, Luke Sewell and others, the team shocked baseball fans by suffering the only Major League loss to an Asian team. 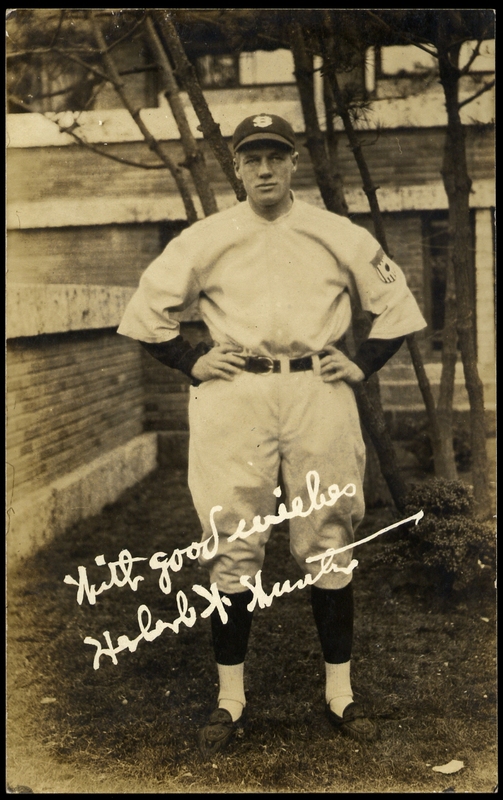 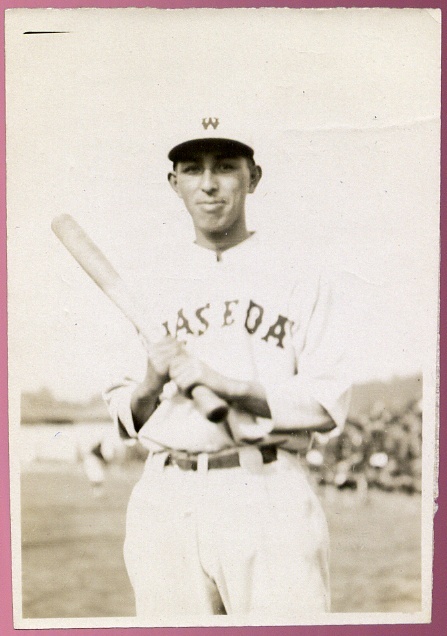 Indeed, no less than star pitcher Waite Hoyt gave up nine runs on November 19th 1922 to the Mita Club, composed of Keio University alumni. His pitching counterpart, Michimaro Ono kept the All Stars at bay, limiting them to three runs. 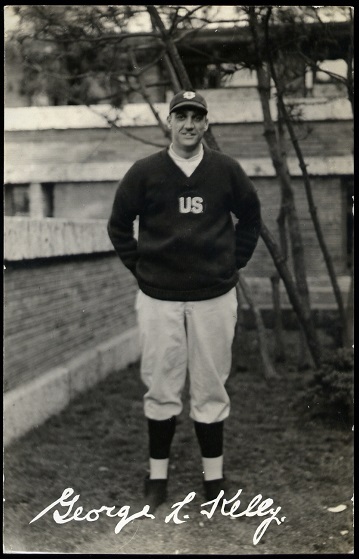 This loss would infuriate Judge Landis, who believed that the Americans threw the game to help drum up interest in future tour matches. 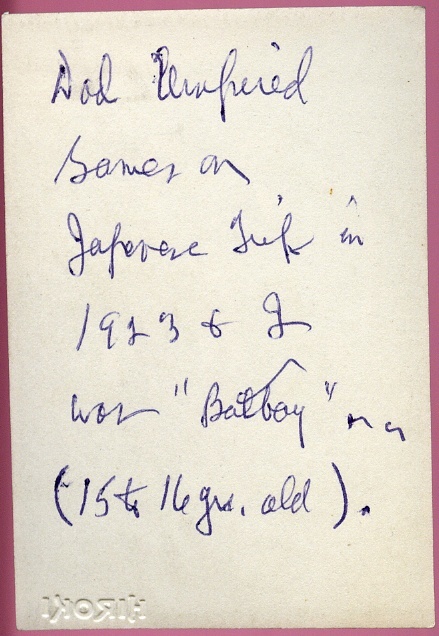 Indeed, tours of Japan in 1931 and 1934 would feature even bigger stars to help prevent another loss from occuring. 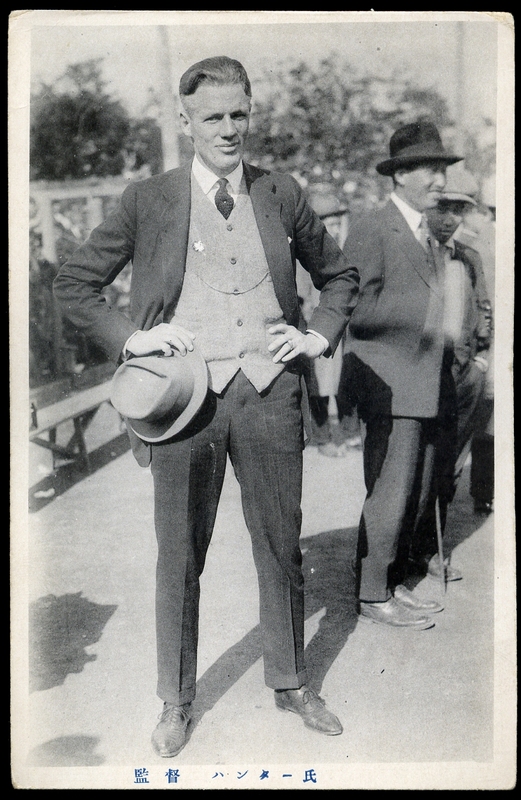 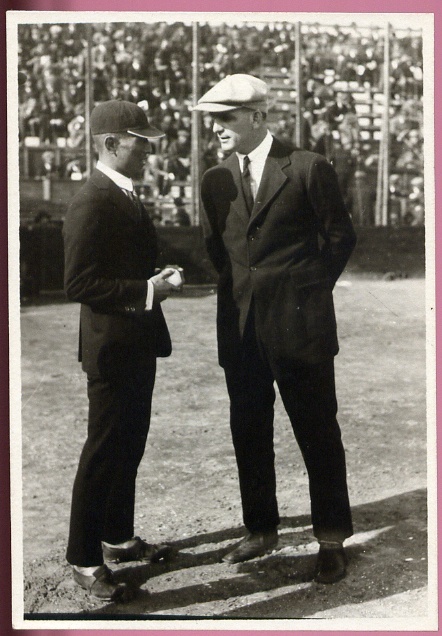 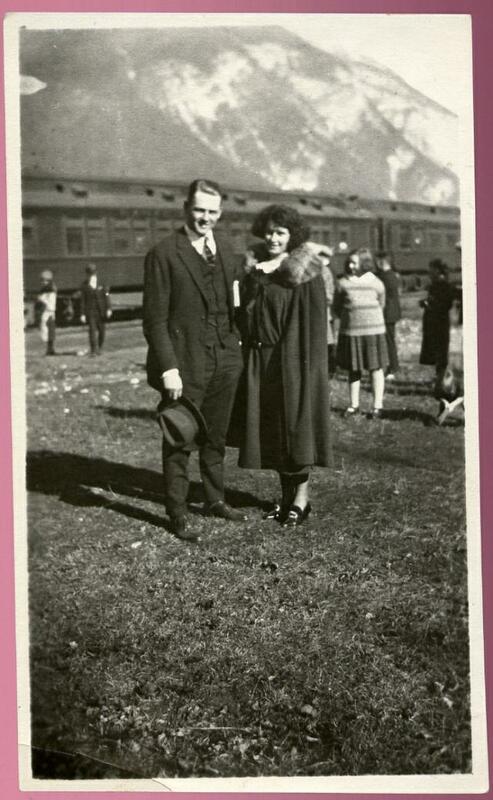 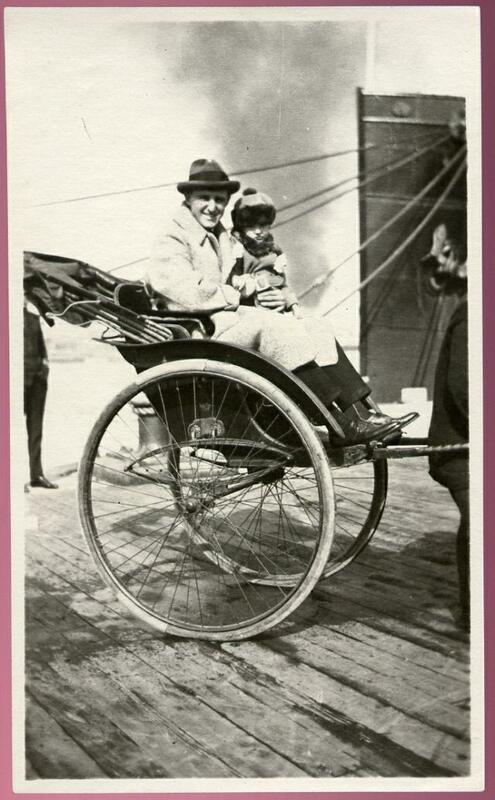 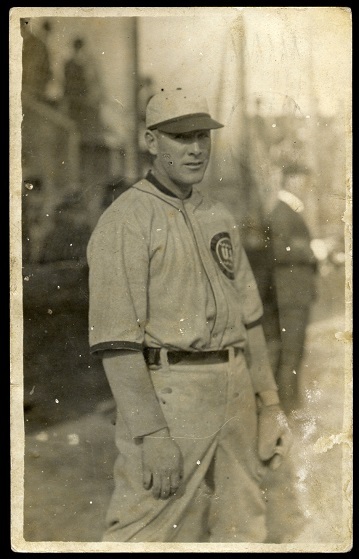 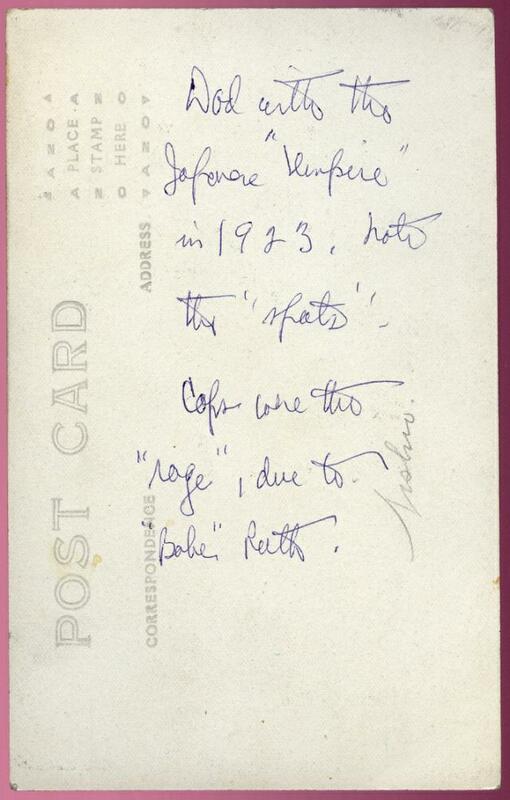 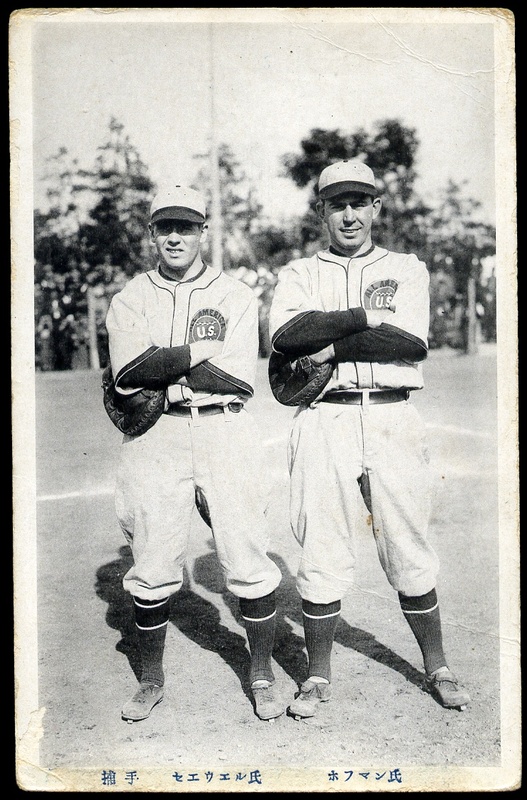 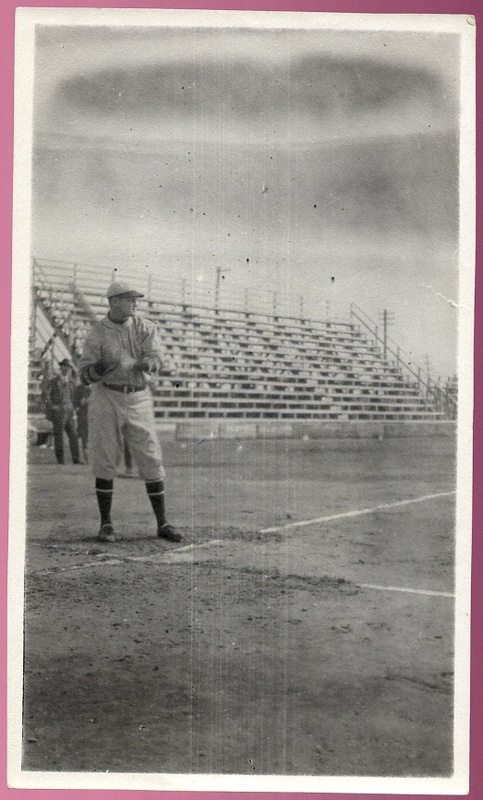 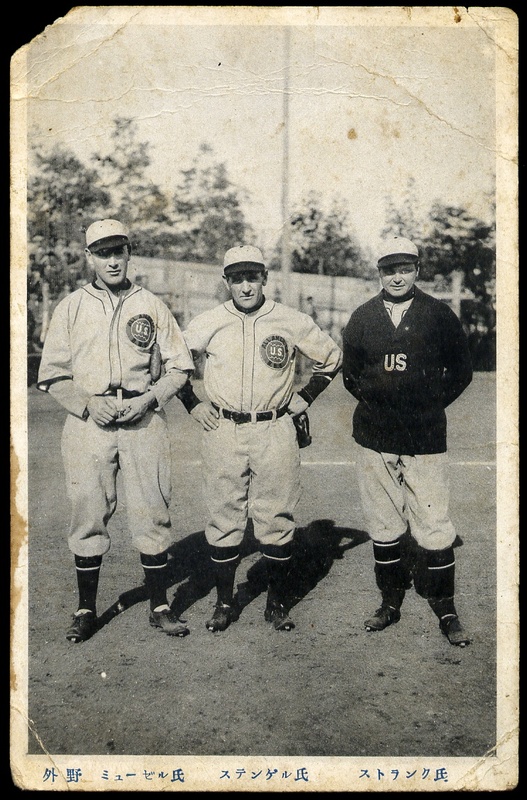 The images of postcards and photos on this page come from a variety of sources -- including the estates of George "Highpockets" Kelly, Casey Stengel and George Moriarty. 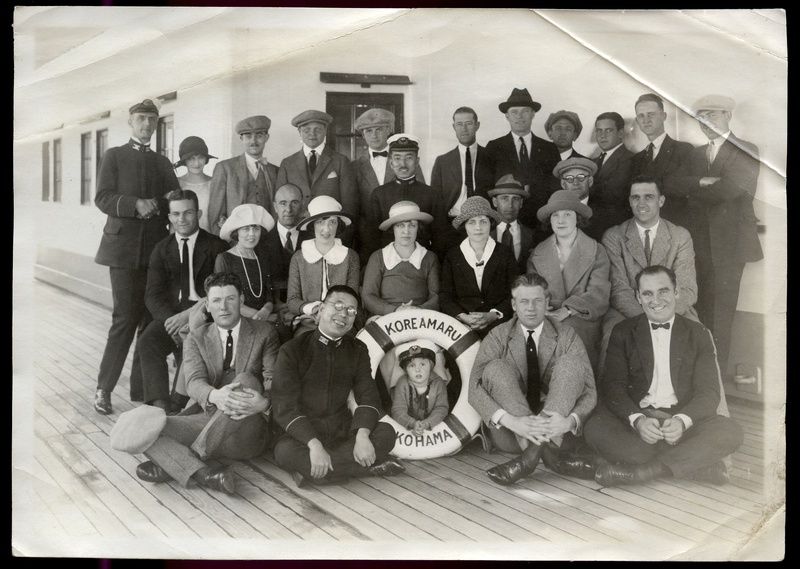 The ship in the photo above, The Korea Maru, originally named The Korea, was built in 1902 for the Pacific Mail Steamship Company. 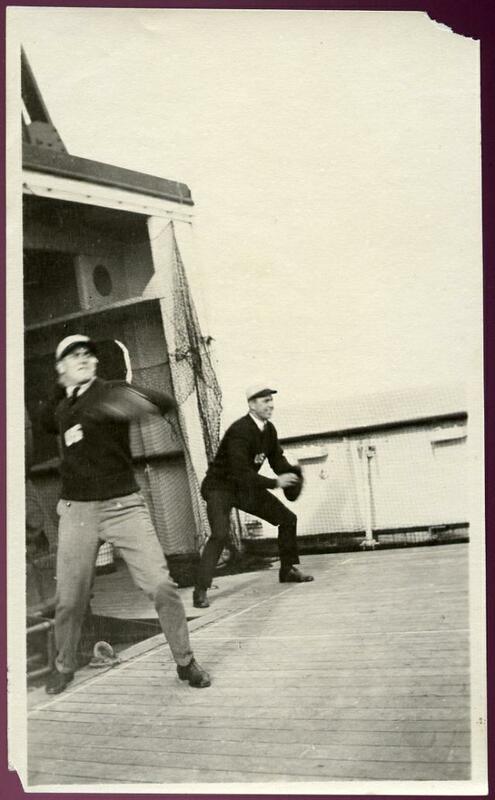 The 11,810 ton, 572 foot, 16 knot Korea was one of the largest and fastest joint passenger and cargo vessels sailing the Pacific. 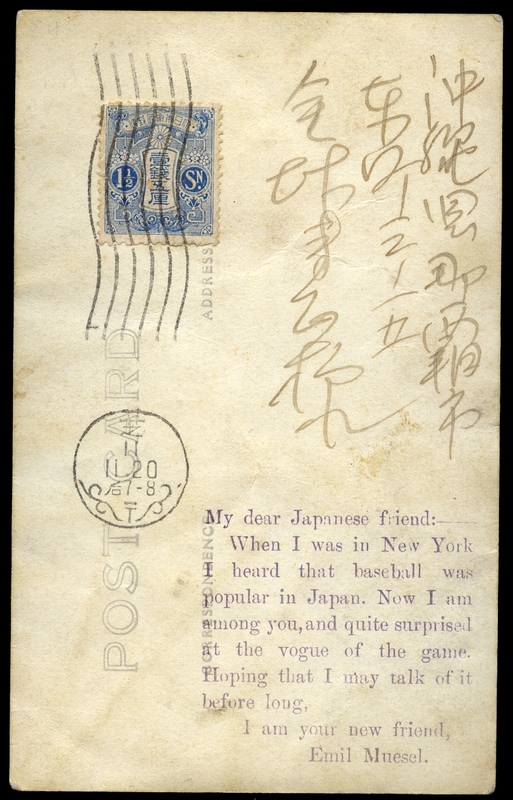 In 1916 it was sold to NYK Line of Japan, owned by Nippon Yusen Kaisha (translation: The Japan Mail Steamship Company), and renamed the Korea Maru. 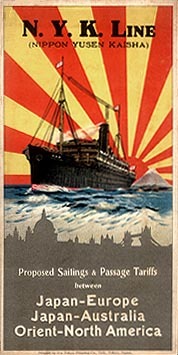 The ship's home port was in Yokohama. 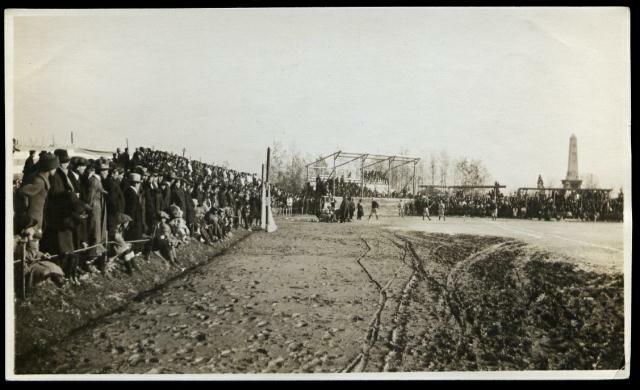 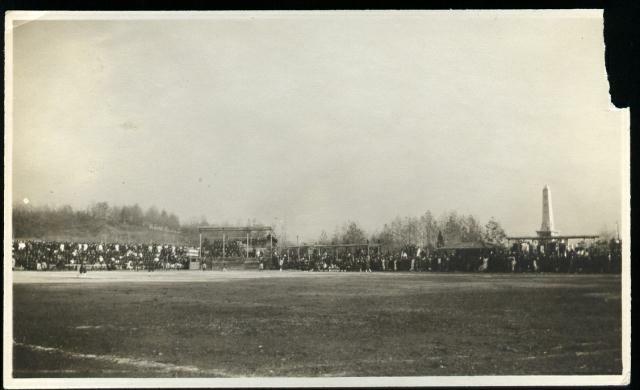 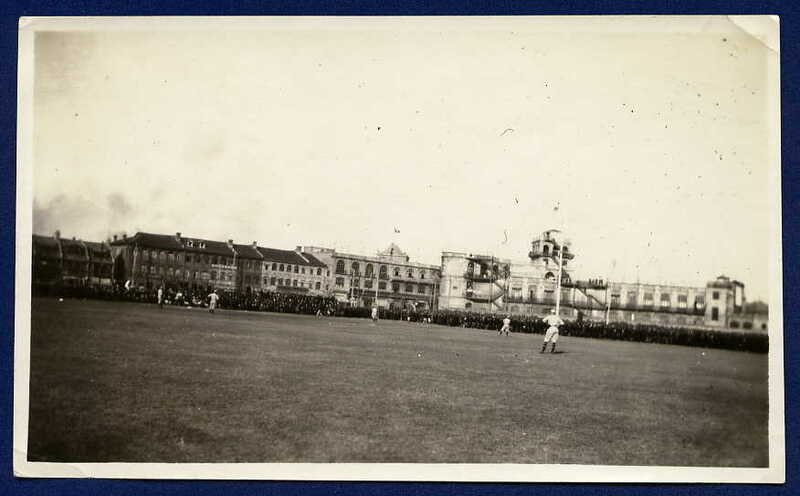 The photo at right, also from the Kelly estate, shows the team on the field. 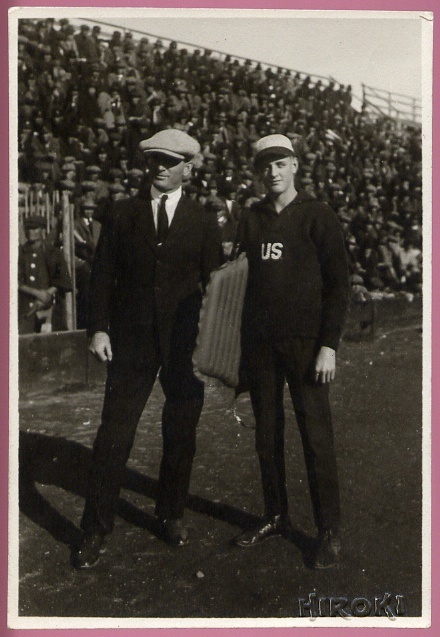 Front Row: Unk, Unk., Joe Bush, Unk (Lavan? ), “Buck” O’Neill (sportswriter), Casey Stengel, George Moriarty Jr..
Real Photo Postcard of Emil "Itish" Meusel in his tour uniform. The message on back is personalized from Emil, penned during his time on the tour and referencing his position with the New York Giants.